By now you’ve heard that the arts community has suffered a devastating loss after David Bowie succumbed to cancer. Though his past was not without controversies, Bowie made a number of significant contributions to the worlds of acting, music, fashion, and fine art. An avid collector, Bowie’s art collection was large, boasting mostly smaller names and works from the 20th century. 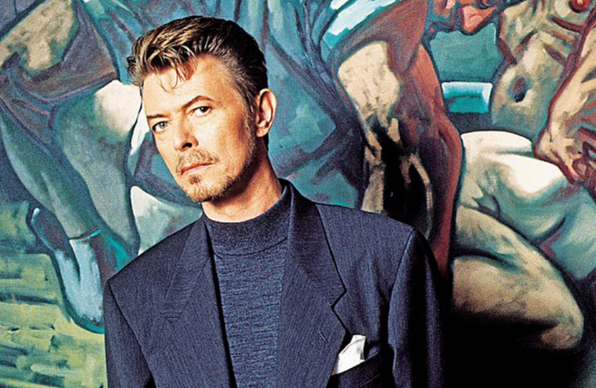 “Art was, seriously, the only thing I’d ever wanted to known,” Bowie said. Bowie’s love of art sometimes came up even in the lyrics to his songs: “Unwashed and Slightly Dazed” mentions French painter Georges Braque, while “Joe the Lion” references a performance piece by Chris Burden. And in 1974, the set design of Bowie’s Diamond Dogs tour was inspired by the work of George Grosz. His collection features work by British artists Graham Sutherland, Leon Kossoff, and Gavin Turk, among others. Particularly fascinated by artists that were willing to take risks in their work. “From a very early age I was always fascinated by those who transgressed the norm, who defied convention, whether in painting or in music or anything,” he told Life in 1992. “Those were my heroes.” Certainly his admiration for the different, transgressive, and the colorful pervaded his long career. The pieces in his collection are colorful and expressive, reflective of Bowie himself. Instagram user kloneyourself posted his own art on Instagram, and ink and watercolor piece, black with white spirals with Bowie’s signature lightning bolt off-center. User mcachicago posted a photograph of people dressed like the musician at an exhibit, while others posted art, pictures, and thoughts and words. May his love for art and difference live on.